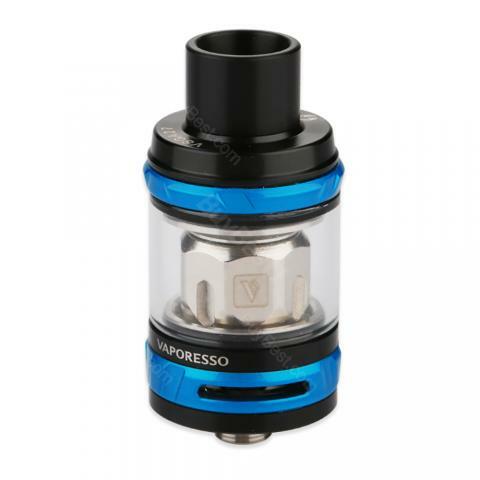 Introduce a new NRG tank from Vaporesso family, it comes with 23mm diameter and 2ml capacity. NRG Mini Tank is a newest masterpiece of cloud chasers. Introduce a new NRG tank from Vaporesso family, it comes with 23mm diameter and 2ml e juice capacity. It features slid-n-fill design and top refilling with 0.15ohm GT coil heads, which will definitely bring you big cloud and great flavor! NRG Mini Tank is a newest masterpiece of cloud chasers, you can compatible with Vaporesso Revenger TC mod. Black, Blue, Red, Rainbow and SS colors, it can meet your different needs. Vaporesso NRG Mini macht auch keine Probleme bei anderen Verdampfern. Akku hällt auch sehr lange durch. Nur mit dem ersatz Coil hat es nicht geklappt. It makes me smoke less and less, good tank!